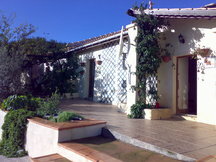 The house is a trad Portuguese detached home with own large private pool FOR SALE ONLY. 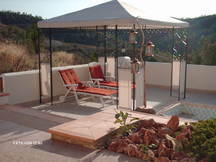 It's situated in the mountains with fabulous panoramic views. 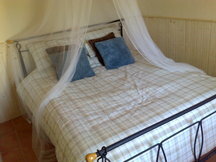 Ideal for those who just want to get away from it all & chill out in a tranquil setting. 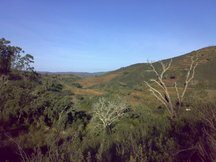 The house is in Carrapateira with Messines being the nearest town. Sky's provided with basic channels. There's a traditional Portuguese fireplace. There's no need for air con as the walls are very thick & keep the property cool in the summer. For evenings, if there's a chill in the air, there are 3 portable electric heaters & wood burning stove to keep you warm. 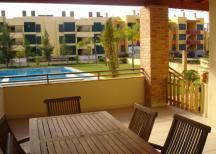 Outside there's a patio table & 4 chairs + 2 sun loungers and Portuguese bbq. 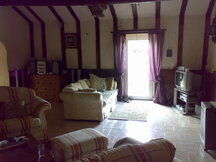 The property comes with land containing fruit and olive trees and has a ruin too. To convert the ruin into another home would be a nice pension for the future. The other houses in the village are nearly all occupied, there are 5 properties left to be converted, all but one are bought. The house comes under Silves council. Please quote reference: a4m: 760 villa "Casa Yvonne"